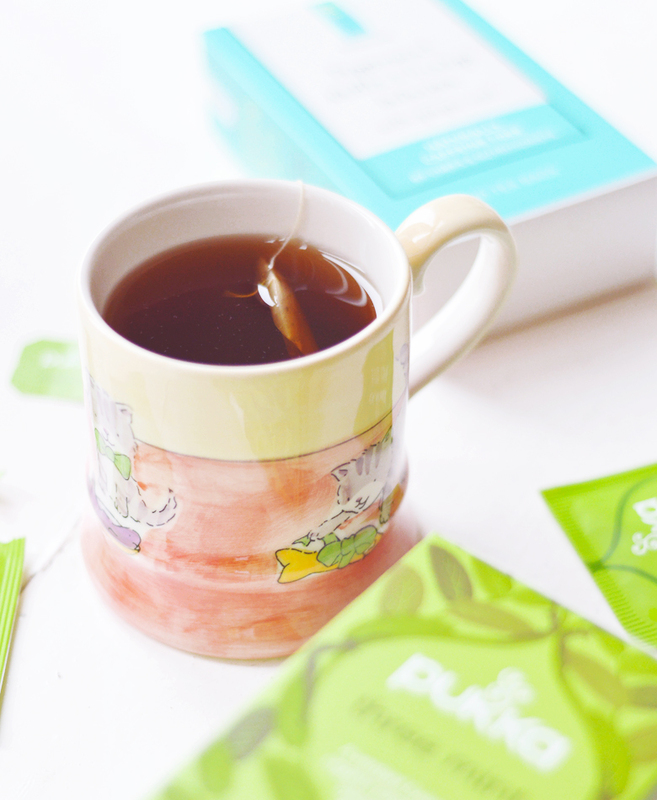 Drink Spearmint Tea For Clearer Skin. Whilst peppermint is the easier accessible tea, and still incredibly good for you with all of it's digestive support and other bits and bobs, it's spearmint that I want to focus on today. This is much harder to find and get your mitts on in your regular supermarket tea aisle and only really comes as a blend in a tea bag. 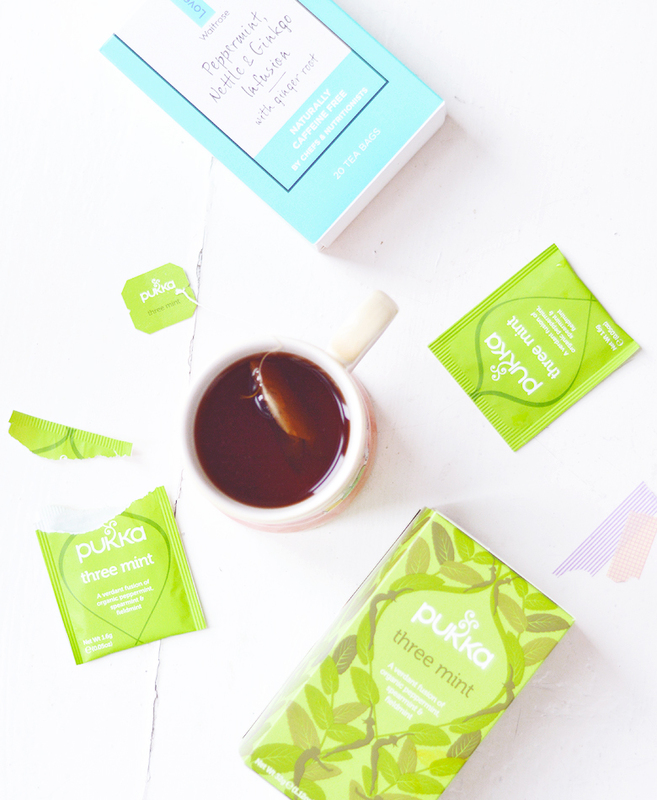 I think Twinings did/do a chamomile and spearmint tea and you can get the Pukka 'cool green' tea which has some spearmint in there. 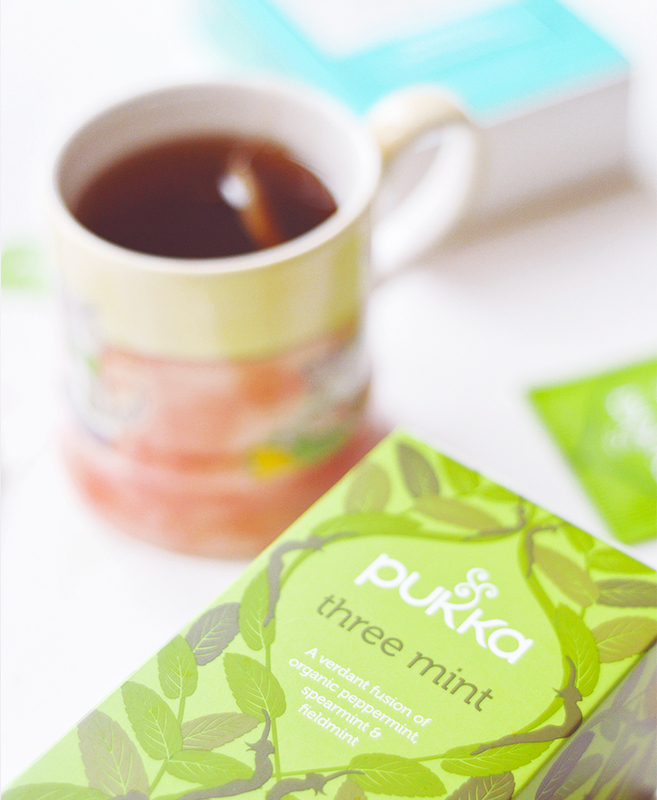 My favourite is the Pukka Three Mint which contains an even split of peppermint, spearmint and fieldmint, it's refreshing and full of flavour. I'm hoping to pick up some loose leaf spearmint soon online as there's a few suppliers in the UK, and then I can just drink pure spearmint tea, I've never used loose leaf, but I suppose there's a first time for everything! Spearmint is an 'anti-androgen' and has been found to help balance and decrease the level of androgens or male hormones in the body. Balancing your hormones is often your main goal when you suffer from hormonal acne (the deep, painful cyst type lumps that take FOREVER to heal on your jaw, chin and even neck. A.K.A. the place guys grow beards! So unfair). Drinking 2 strong cups of spearmint tea per day can help balance things out and reduce your acne or even heal it up completely. It's not guaranteed of course, everyone is different, but I'll be sure to report back with my results once I've put this to the test. Spearmint also slows down the oxidation of fats, which means, if you have oily skin it can stop the sebum from oxidizing as quickly (this is where it hardens and clogs pores then goes rancid and is perfect for bacteria growth and lots of lovely acne), so less oxidizing, less acne! PCOS and Hirsutism symptoms can also be reduced as these are also linked to an excess of male hormones. The luteinising hormone, responsible for ovulation can also be increased (by around 30%) for more regular periods. The menthol present in the tea is also helpful for respiratory conditions, as well as IBS symptoms. Spearmint is also anti-microbial and anti-inflammatory so great to sip at this time of year to avoid colds, flu and sore throats. So the moral of the story? Spearmint is pretty great and helps our whacky bodies function how they're supposed to.